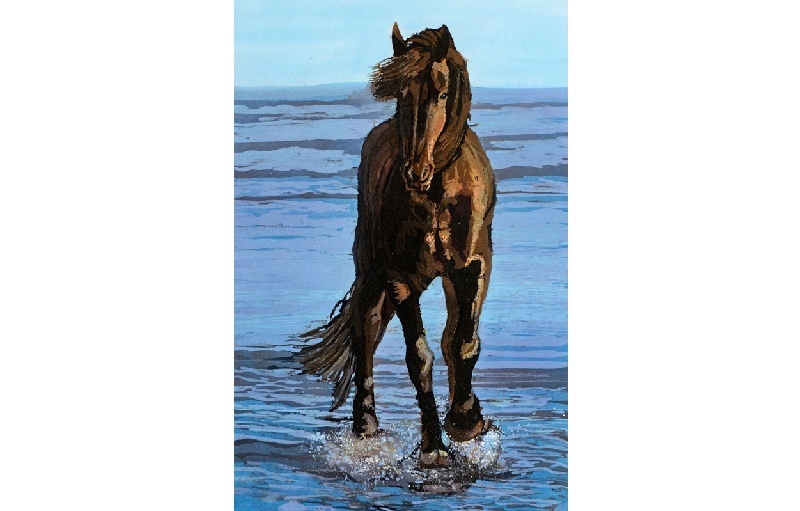 A batik painting on cotton fabric of a horse trotting through the waves. Originally there was someone on the horse, but I decided to omit them (a little artistic licence! ), because I liked to imagine what the horse felt to have the waves lapping against his legs.